Catrina Muerte is a 8 Mana Cost Legendary Priest Minion card from the Rise of Shadows set! Rating: 4.3/5. From 250 votes. Good God. 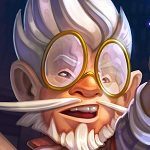 WALL AND CLONE PRIEST WILL NOT BE A VIABLE ARCHETYPE POST ROTATION. 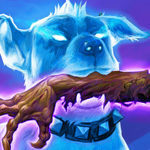 The loss of Shadow Essence, Eternal Servitude, and Shadow Visions ensures as much by itself, and that’s before we consider the loss of Tar Creeper, Radient Elemental, Psychic Scream, and Diamond Spellstone. 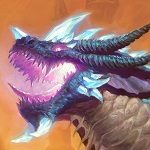 Priest is losing much of its anti-aggro tool-set AND its consistency tools. The combo itself remains “untouched” but everything outside of the combo that makes it even remotely good is all losing its Standard legality outside of Mass Hysteria. Catrina Muerte is not going to enable Wall Priest in the same way as Master Oakheart does. 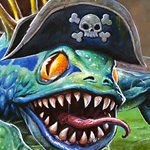 While I do think it could have gone without a couple attack stats, it is just going to be a card that can close out aggro match-ups if it brings back taunt minions or certain Deathrattles and a card that will often require multiple cards for the controlling opponent to properly deal with. 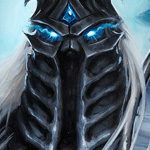 It will be a good card, but in a way analogous to the Lich King or Ysera rather than to Eternal Servitude. Rotation means nothing to wild format in that this is a perfect card for ressurect priest. Don’t dis a card just because it may not look good in standard there’s 3 game modes not just one. Standard, arena, and wild. This just makes ressurect priest even more irritating for wild. No. I don’t think Big Priest would really want to play this. It’s not something particularly useful when pulled out by Shadow Essence or Barnes like every other minion in the deck. Maybe it’s fine as something pulled out by Y’shaarj. However, as the first play from the deck, it doesn’t pressure the opponent like Ragnoros can, threaten the board and heal like Obsidian Statue can, generate massive amounts of advantage while protecting you like the Lich King can, or pull any of those out of the deck like Y’Shaarj can. Yeah, if one dies, and you bring it back, it can start just constantly bringing itself back over and over, and snowball until your opponent clears them all, but that’s not really reliable or fast. Against the aggressive decks in the format, it does nothing to help directly unless played after either Obsidian Statue or The Lick King. Against control decks, it can really pressure the opponent, but I’d say the deck would still rather just get to Ragnaros or Y’Shaarj directly rather than going through this as a middlewomen. 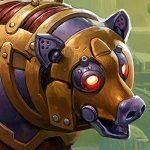 I’m not entirely convinced Big Priest would want to play more Resurrection tools than it does currently and would rather find more efficient ones compared to the ones it plays. Wild asks a lot of any and all decks in it, and this probably isn’t quite good enough to make the cut unless Barnes revives a change, and the deck is forced to lean heavier into the control role more often. Thing is big priest runs alot of control cards as well yeah as first out it may not be great but it’s a very threatening card on the board and is not likely to be left alone. 1 usefull thing teching this card can do is cut down dead spell draw since there’s a few spells you tend to not want to play from top deck. It’s a little more rng but pulling this out with shadow essense is alot better than pulling Barnes since it sets up a rez chain. Ok sure you can dis its viability in standard all you want but now that your coming for wild…. I’m going to have to tell you to stop. Big priest will love this card. It can summon itself after being revived. Does that not sound like a threat to you? two 6/8s for 2 or 4 mana?! Seriously dude? Given how much trouble the deck tends to have against aggro, I don’t think Big Priest wants to play something that when pulled out by Barnes or Shadow Essence, it cannot help alleviate the situation until Psychic Scream gets dropped. Rag kills something, Lich King has taunt, Statue has taunt and kills something, Y’Shaarj will usually pull out one of those three things. If a Big Priest manages to survive until turn six against say Kingsbane Rogue, and they pull this out over Obsidian Statue with Shadow Essence, that game is over. At least with Rag, they might kill they’re biggest threat at the moment. However, I would be agreeing with you if Wild were instead a slow, contemplative format where value is what ultimately wins every game, but it isn’t. Aggro can kill by turn four, and this doesn’t have taunt or does anything until AFTER something else has already died. If this is Wild Priest’s 1st pull, gets killed and resurrected, it will then summon a copy of itself, right!? That sounds scary. 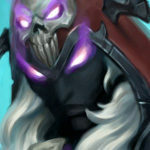 Still not sure if it will see play there, but there are versions of BP playing Kel’thuzad and Katrina will replace him. I’ll start by pointing out that this has a strong anti-synergy with Lackeys, so this is not for every Priest deck. Never herd of this lore character. 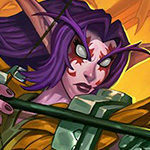 It is about time we add spanish people in WoW :D. She is not kel’thuzard. But there is value in her. And you will never stop getting the demand for more big priest cards. After all there are tons of those cancer decks. And we will probably never see a stop to them. So bring up your Y’sharaj and be a total noob. The deck never really needed 2x obsidian statues anyway. And while kel’thuzard was limited to the minion that you play after him this thing summon you a minion even if you have none already. Whitch is a bit better tempo wise. Apparently blizz learned that ressurect effect are worth more than 2 mana :D.
The value this card add is not that collosal for big priest but there were tons of stingy people who could not afford kel’thuzard i ntheir big priest decks so this actually can give you a break to your pocket since you can replace it with this. The 2 of them however are a lovely couple. Someone did complain that with spellstone gone, Wall priest lost his revives and now is uplayable, while I insited that the wall archetype will plague the format quite some time. WHY DO THEY KEEP ADDING DEGENERACY TO THIS GAME. no one wants to play against rez or big priest. the vast majority of priest players, myself included, don’t even want to play rez or big priest. 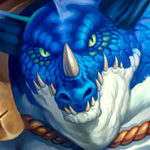 wtf is wrong with blizzard, first mass res (which probably won’t be played but still) and now this cancer. Just fueling the fire for res priest again. I love this card, and think that it’s actually better than Kel’Thuzad. You needed a board in the first place to play KT, but this can be played on its own and doesn’t need support. 5/5, always loved res priest. why do you enjoy playing uninteractive degeneracy? I’ve always enjoyed destroying my opponent with the shear power of huge cards. Examples being: Kel’Thuzad, Rag, Lich King, and Obsidian Statue. Slow games are much more fun to me. It’s why I’m biased against aggro. i hate aggro too. slow games are fun.. when you’re playing control decks. having 5 minions in your deck and reviving them over and over is degenerate, and completely uninteractive. oh you cleared my board? ok here let me summon 4 obsidian statues. not all revival is unbalanced. for example cards like bloodreaver guldan (although extremely strong) are at least one time revivals. having 15 cards in your deck be revival cards is just disgusting. I guess players have gotten a lot better, and they wanted to give Kel’Thuzad a Second Chance. Mm’kay. Over all this is a nice card. 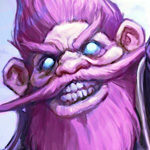 A No Brainer for Wall, Malygos,or Big Priest. 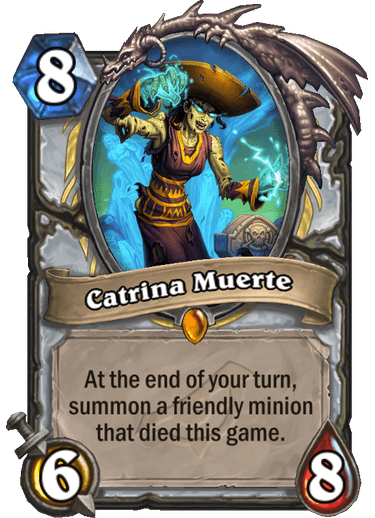 Again that I worry that It’s going to be an Expensive deck for Cartina Muerte, since Priest might need to consider 5-7 Legendaries or so, but other than that, It’s a great card. Difference is this rezes a minion that died at any time in the fight kelthuzad only applies to those that died during the turns he’s alive on the field. Kelthuzad was a dead card unless you had a board this can be played on empty field and still have value. Seems like every second evil legendary is gonna have a foreign word in its name. Did anyone notice this beside me? Ah yes, Blastmaster Boom, from the distant Scandanavian region Bøømtøwn. the next warrior legendary may have a foreign word. This is the only one so far, so no. Damn, dude. Not hard to make your only earlygame plays Witchwood Grizzly, Hecklebot, Zilliax, and Moshogg Enforcer, drop this (along with Seance on T10 if u nasty), then start following up with Mass Ressurection(s) which now revive at least one Catrina and gives you 4+ Huge taunt minions to work with each time. Wall Priest isn’t going anywhere. The problem big priest has is there is no way to cheat big minions put early anymore (yet) so survival till turn 8 is the issue. The most powerful big priest is always going to be the one in wild this is practically an auto include in that deck since worst case scenario it ressurects Barnes. the only “problem” is that big/rez priest is a viable archetype. As I said with Resurrect (Clone) Priest. I say it again. 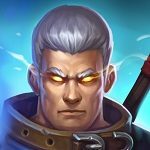 Resurrect Priest is far from dead. The same with Wall Priest. She fits both. Although, one will have to wait a turn to use a Mind Blast. However, there us another archetype: Deathrattle Priest is more than viable with this, which includes Zerek. And definitely loving this card. I’m actually okay with this card in Wild, provided they NERF [email protected]$&#% BARNES. My worry about this card is how it’s going to chain with other resurrection effects. 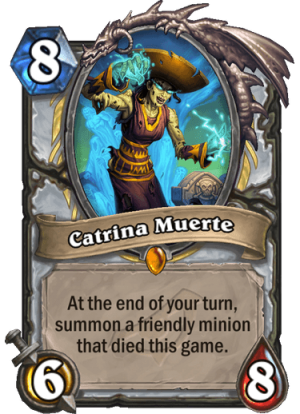 Like, if you can get into a situation where she’s died several times during the game and not a lot of other minions, you’re going to have Catrinas resurrecting Catrinas resurrecting Catrinas… and with 8 health, it’s going to be hard to kill all copies of her at once unless you happen to be a Warlock with Twisting Nether. 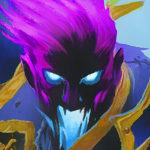 I also find it unfortunate that, while a lot of the other classes are getting underrated aspects of their playstyle boosted in this expansion, Priest seems to be getting more Deathrattle and more resurrection, both of which were are already the basis for most Priest decks in the meta. “Death Katryn” should be the english version of the name of this card? First mass ressurectuon, and now this. One of the high points for me in this rotation was to finally to not battle against ressurect priest. I don’t find this creative at all. But I remain hopeful that ressurect priest won’t only have an otk combo as win condition, since radiant elemental is rotating. Shadow Visions is still rotating out, so at least all priest decks will less consistent. The good news is that I think Mind Blast OTK Priest will still be unplayable in standard. The bad news is the only significant cards that Wall OTK Priest is losing without RoS alternatives will be Oakheart and Shadow Visions, so that deck is looking more and more likely. Wall also loses scream which was a staple of all priest decks. It is losing Psychic Scream, but it still has Mass Hysteria and now Forbidden Words. Plus the option to include Holy Nova, Doomsayers, Abominations, and SW:Death if need be–yes they aren’t as good as scream, but the point is they are still available in case Wall Priest does still need to tech in something more. Meanwhile, every other meta deck that wants to go wide is getting seriously gutted. No more Emerald Spellstones or Flanking Strikes. No more Play Dead or Terrorscale. No more Odd or Even Pally. No more Divine Favor. No more Voidlords, cubes, or Skulls. No more Prince K, Firefly, or Fungalmancers. If you say this rotation is making Wall Priest take 1 step backwards, then every other current archetype must be taking 10. I just think we could have gone one expansion without ress. There are no ress cards for priest in basic or classic, so it doesn’t need to be there for the class to have it’s identity. 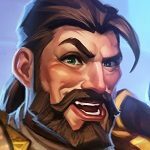 blizzard is completely stupid now. for some reason they got it in their heads that res priest is a good idea. This is not funny can you say new Rez priest toy kelthuzads got nothing on this for wild. It seems like this expansion gives alot of power for wild game mode this time. Fel Lord is broken for wild warlock since it’s summonable by skull of manari as one example. Seems like wild formats going to be alot more intereating. While Kel’Thuzad can bring you back a whole board, this only 1 minion; that one minion could have died anytime throughout the game. By the end of the turn, you are getting a minion back. EDIT: I’ll up my vote to 4/5 because she can speak Spanish; that’s always good to include in your resumè. You completely ignore the face that you can play carina on an empty board. BTW nice combo: Carina -> seance -> Carina into carina -> into whatever. It’s one revive, KEL’THUZAD revives a whole board. Downside of Kel was you needed a board to begin with this can be dropped on its own. This is basically a 5th or 6th minion to use in wild big priest and with all the ressurects that runs wouldn’t put it past getting a field full of this. Not really, for Kel’Thuzad to work you needed minions that died THIS TURN, not THIS GAME. This is guaranteed to summon something (if something died this game, that is), for Kel’Thuzad you needed a board first AND a way to kill it off. I’d say that this is better than Kel’Thuzad, which was a win-more card – this is also great on an empty board or sometimes even when behind (especially if you had Taunt minions that died). 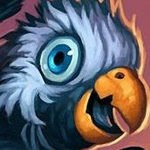 Yes many good points, but if I play a taunt druid I personally rather have a KEL’THUZAD behind them, but we will see. Guess I can have both, maybe. I meant priest not druid…. You have pretty much already won with taunt Druid once you have that wall and there are very few situations where a kelthuzad could even add any benefit whatsoever to that situation.Also this is a priest card not a Druid card. The thing about using kelthuzad is that he’s a removal Target before your opponent even attacks your taunts or your opponent with clear the whole board. Run this in big priest worst case scenario he ressurects Barnes best case you have himself, the 10/10, obsidian statue, ragnaros, maybe lich King. Point is you’ll have a high value Rez pool for say mass ressurect and summon 3 copies of this which would summon 3 more dead minions.